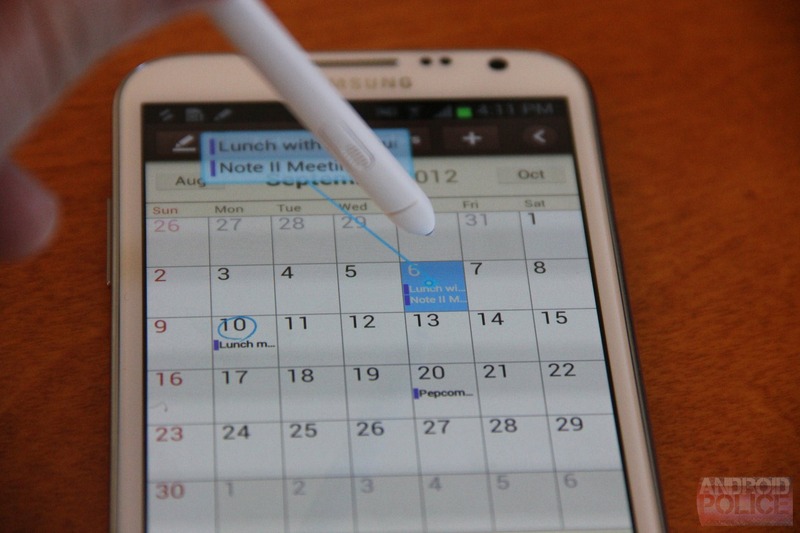 So, the other day, in New York, Samsung gathered up a bunch of bloggers and showed us the international Galaxy Note 2. They wouldn't tell us anything about their North American plans, only that the international version would be pretty close to the NA version, and that they'd be sending out NA review units soon. So, while we're waiting for the real one to get here, we thought it'd be fun to take a quick look at the international version. The Note II is a crazy piece of hardware - just holding it is an experience. 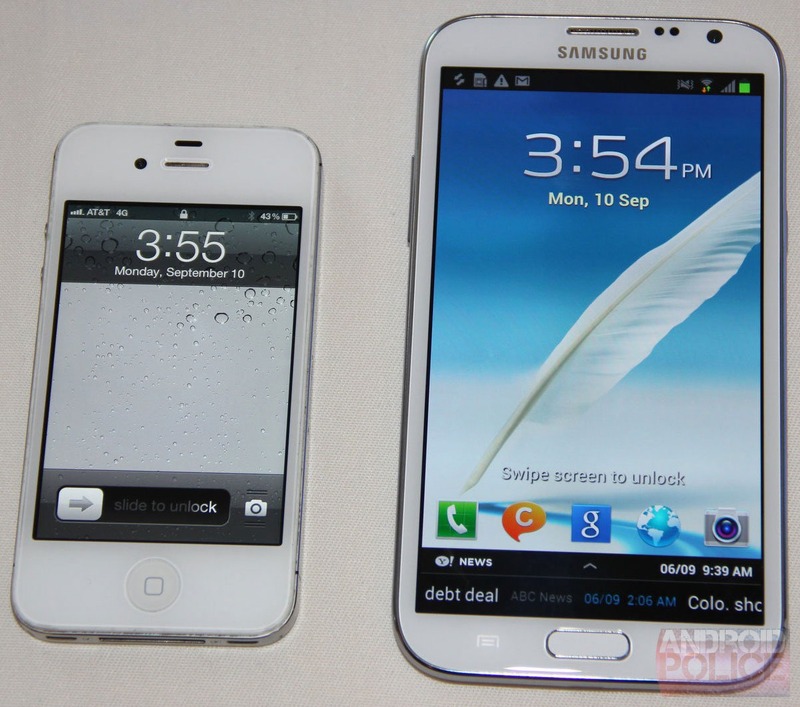 It has to be the biggest screen ever released on a phone. 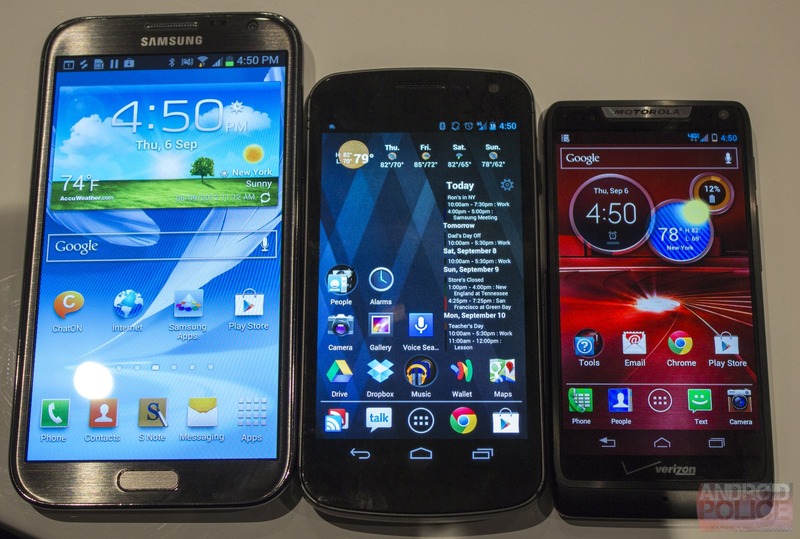 Pictures just can't do it justice, but here's a lineup of the Note 2, Galaxy Nexus, and Motorola DROID RAZR M, anyway. Remember when the Nexus was considered big? The Note II's massiveness is due to the 5.5 inch screen. That's a .2 inch increase over the original, but, thanks to a slimmed down bezel, Samsung was actually able to shave a few millimeters off the width. If you want to get specific, the measurements are 151.1 x 80.5 x 9.4 mm for the Note II and 146.9 x 83 x 9.7 mm for the Note I.
I brought the Razr M along, knowing I'd then have one of the biggest and smallest Android phones next to each other, and let me tell you, these two together are hilarious. 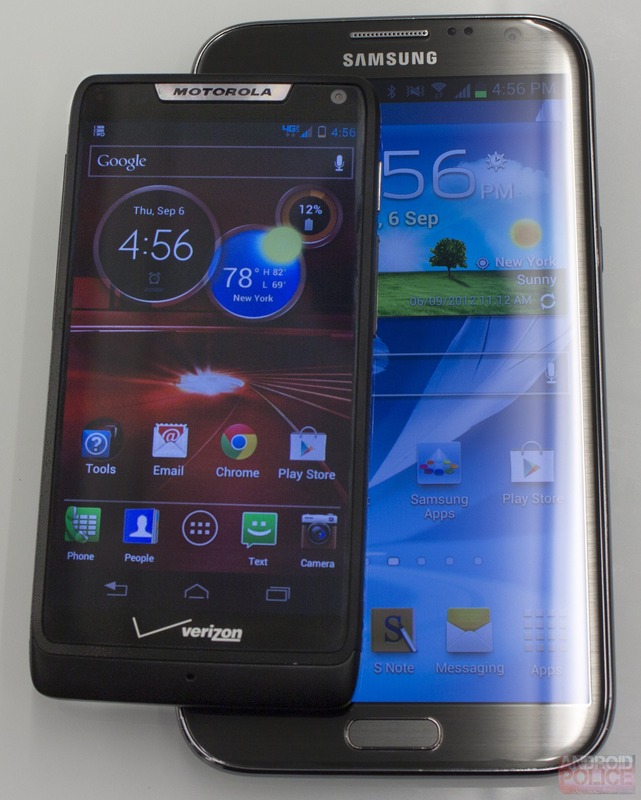 The Razr M's entire body can fit inside the Note II's screen. And, just for good measure, here it is versus an iPhone. You can just see the fear in its beady little retina eyes. 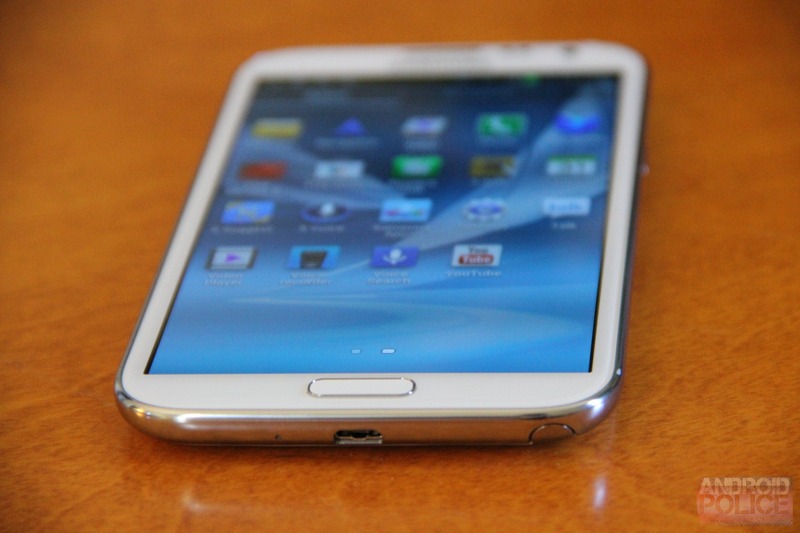 The Note II's button layout is just like the Galaxy S III: a clicky hardware Home button flanked by Menu and Back. You can't see in most of these pictures because they still turn invisible after a few seconds. Long pressing on the Home button brings up the Recent Apps list. I will forever be fearful of the build quality of the Note series after having reviewed the horribly built Note 10.1, but I'm happy to say the Note II didn't inherit the spongy, creaky exterior of its big brother. 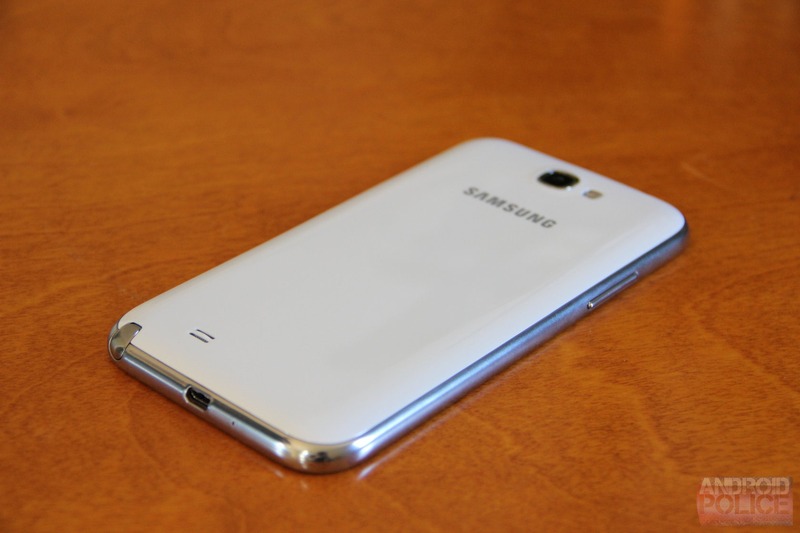 I only had a limited time to play with it, but so far the Note II seems to be built like the Galaxy S III: made with cheap-feeling glossy plastic, but solidly built. The plastic is really a shame given the recent unveiling of the Samsung Ativ, a Windows Phone made with all brushed aluminum. 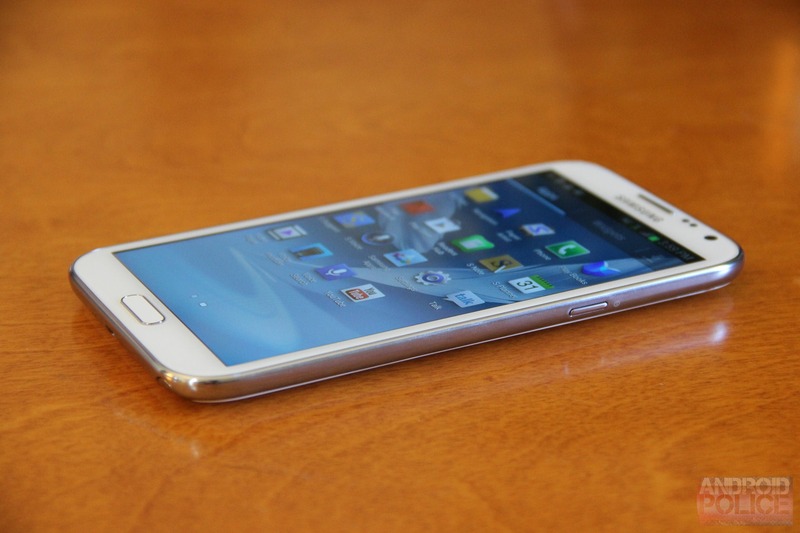 Samsung can use higher quality materials, they just don't want to. 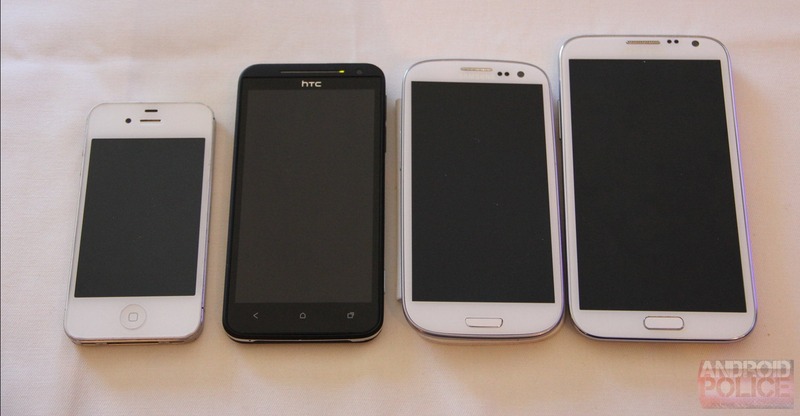 An iPhone 4, HTC Evo 4G LTE, Galaxy S III, and the Note II. 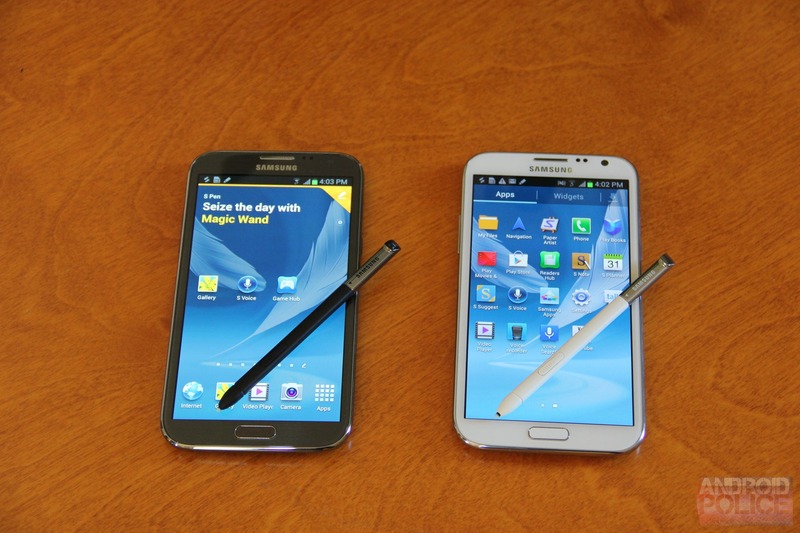 While the build quality is about on par with the Galaxy S III, the Note II looks much better. Samsung has kept their lawyers away from this one and actually made it a normal, simple, straight-sided rectangle with corners that aren't so swoopy. I wish the GSIII skipped the goofy "pebble" shape and went with this design, it looks great! Apple is probably adding this to a lawsuit as we speak. They also dumped the GSIII's seam-filled, silver plastic rim and went with a shiny, chrome-colored plastic rim, which is much nicer looking. 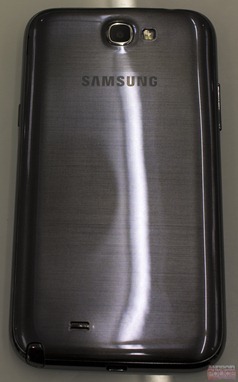 The back peels off just like the Galaxy S III. You can see the massive, 3100mAh battery, and the microSD and SIM slots. 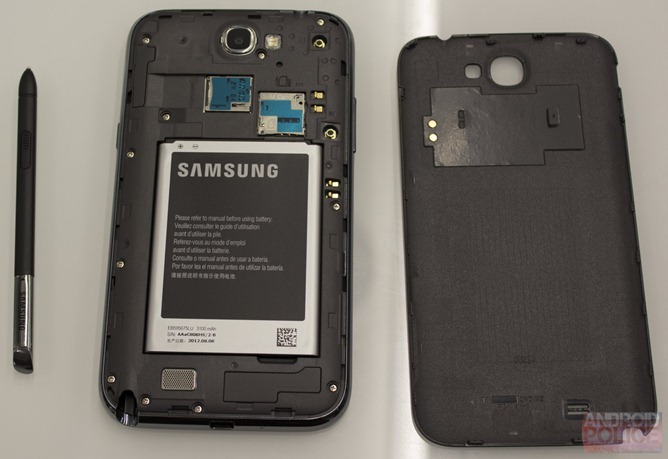 Previous NFC Samsung designs, like the Galaxy Nexus and GSIII, put the NFC antenna in the battery, but here the antenna is built into the removable back, and there's a set of gold contacts connecting it to the phone. 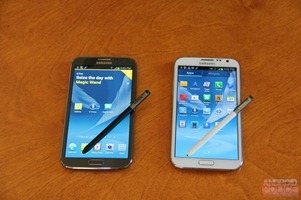 The S Pen feels similar to the pen on the Note 10.1. Samsung had mentioned they changed the tip material for a little more resistance - I didn't really notice in my limited time with the device. It does have a new trick though, if you leave the pen out of the phone and walk away, an alarm will sound to alert you of the missing accessory. They've also tried to make the S Pen more useful. 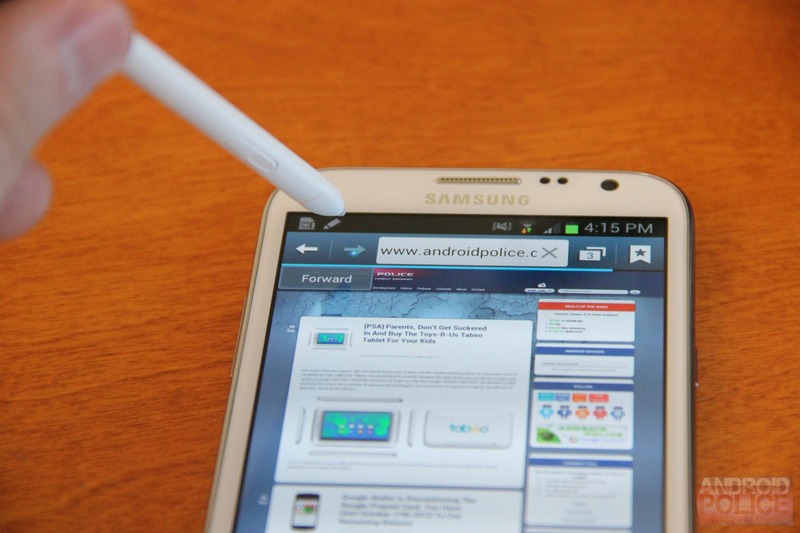 The touchscreen can track the pen when it is above the screen, so you can use it to hover on web pages for navigation, and they've added some hover functionality to various Touchwiz apps. Hovering on a stack of pictures will fan out the top 6 and give you a preview, and hovering on a video seek bar will give you a thumbnail. 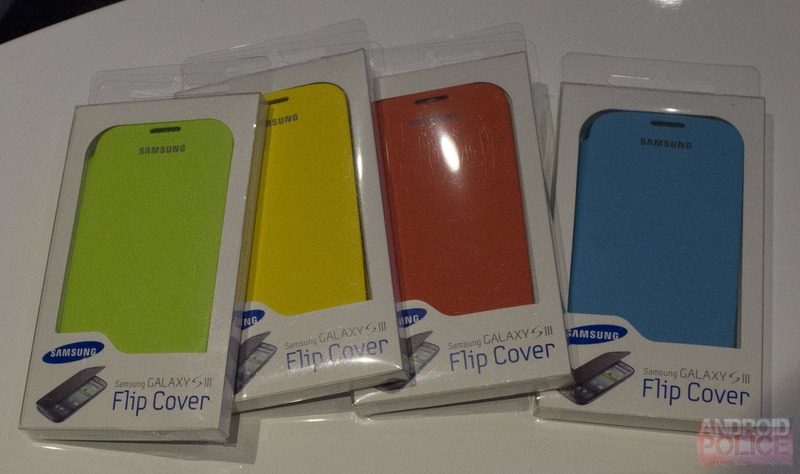 You get a choice of grey or white, and yes, that's grey, not the dark blue color of the Galaxy S III. They had a few Flip Covers on display for the new phone. I believe black and white are also color options for the covers. Performance on this thing should be pretty awesome. 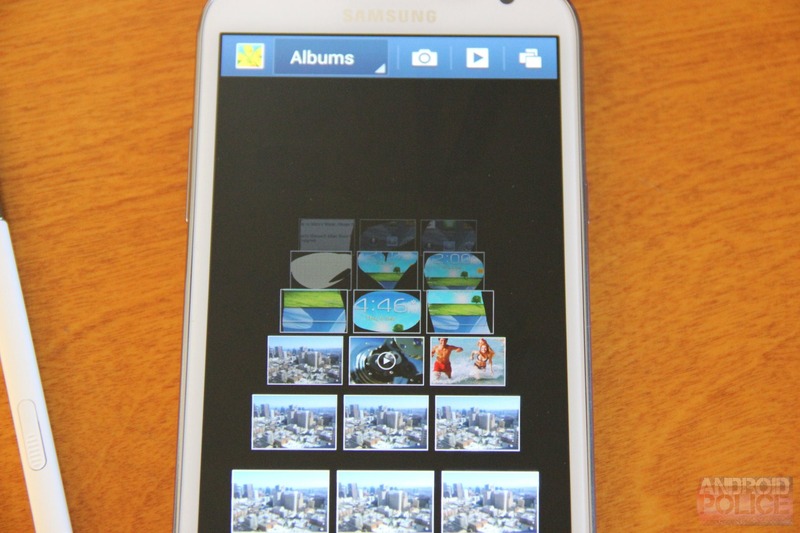 The Note II is running Jelly Bean, and Project Butter is here in full force. If that weren't enough, the Note II has a quad-core 1.6GHz Exynos and 2GB of RAM. Everything felt pretty smooth, even with a video floating around. Oh, and if you're worried about a processor change, don't be. Samsung hinted they had finally figured out the quad-core/LTE issues that had been plaguing their North American phones. 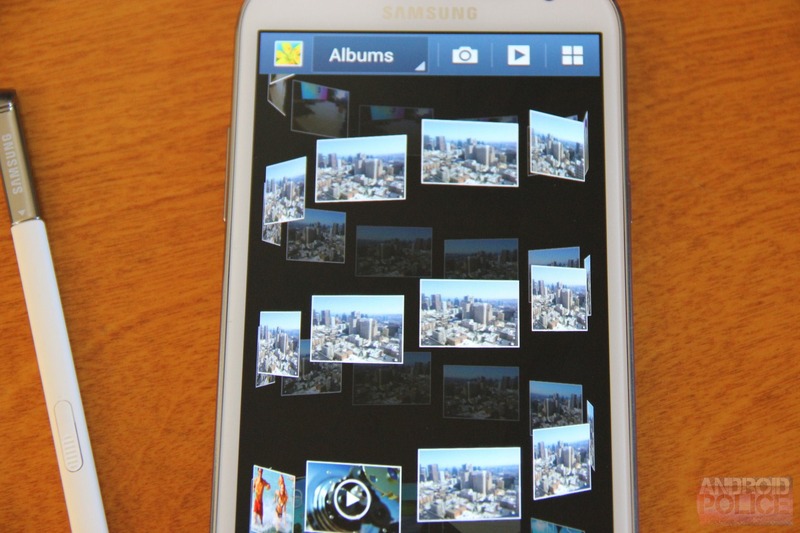 Of course, Touchwiz is back and even crazier than ever. My favorite is the Gallery, which will now display your pictures in a swirling vortex or a Star Wars intro style crawl that, for some reason, only fills the bottom 2/3rds of the screen. Artem and I doubled teamed the Note II event (on opposite coasts! ), and he scored this awesome hands-on video. It covers a good deal of the new Touchwiz features. 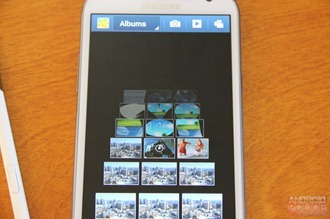 They brought over some of the floating mini apps from the Galaxy Note 10.1. I saw floating versions of S Note, the web browser, and the video player. In typical Touchwiz fashion, actually opening these floating apps is a complete usability mess. The floating video player opens from a button in the main app. That's great and easy to find. 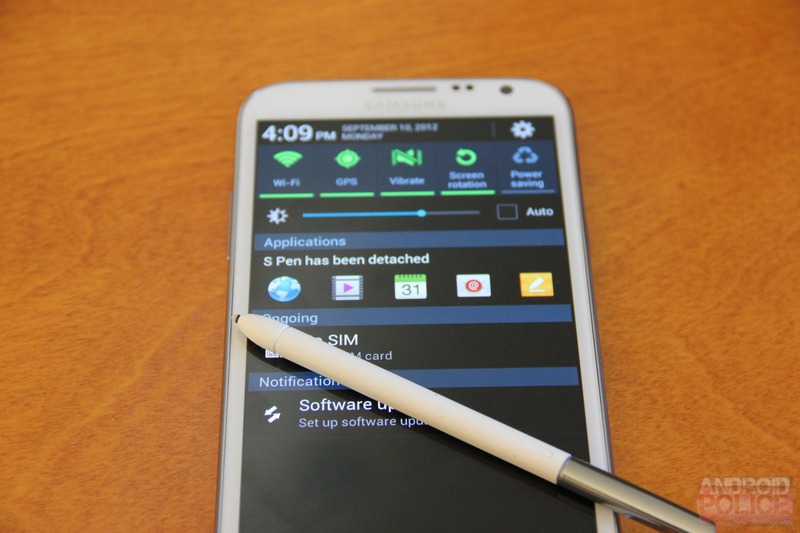 A floating S Note window, however, can't be opened from the S Note app; you can only open it with an S Pen gesture. The floating web browser also can't be opened from the app, nor can it be opened with a pen gesture, this one will only open by clicking on a link from another app and choosing "Web Everywhere" from the app picker. 3 of the same type of app, 3 totally different ways to open them. Why couldn't they have just added buttons to everything? And no, I'm not missing anything; I double checked this with the reps. 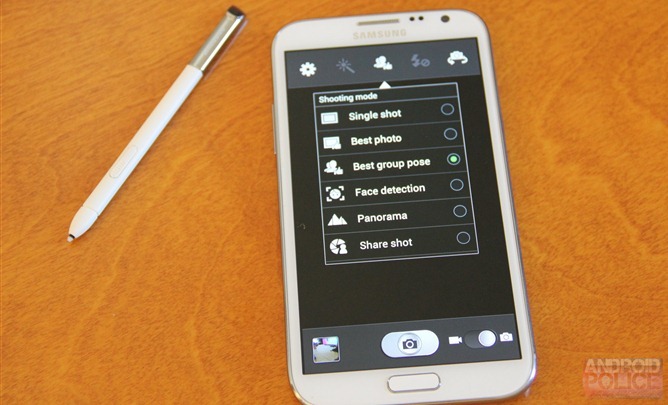 The camera software has gotten an upgrade, too. Burst mode isn't a mode anymore, just hold down the camera button and the shots keep coming. There's also a crazy feature that will let you take multiple shots of a group of people and mix and match the faces from each photo for the best look. It's like automatic Photoshop! So it's huge, it's fast, it's got Jelly Bean, and Touchwiz has even more crazy stuff to look at. A review of a US variant will happen eventually. Getting a closer look at this thing sounds like fun. You'll know more when we do.